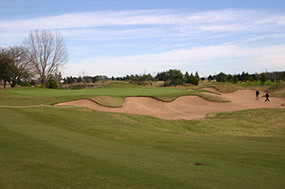 Designed by Randy Thompson while working for Robert von Hagge, the Buenos Aires Golf Club is an exclusive club with an odd, modern resort style golf course, that is set uncomfortably beside a busy Argentine highway and with huge powerlines cutting across its flat, prairie style landscape. This club has pedigree in South America as the host of prominent championships, but the layout is completely over shaped, its holes overwhelmed by masses of dirt piled to the sides of the fairways in an attempt, perhaps, to mask the flatness of the virgin terrain. Strangely, the design philosophy here seems to have been add as many mounds and lakes as possible, with the shaping including a confusing mix of grassy hollows and sand traps that are built into large and unsightly man-made mounds. There are 27 holes in total here. All three nines are rather similar although the Blue Nine is certainly the most extreme as the mounding is even less believable than elsewhere and some of the holes are quite shocking. 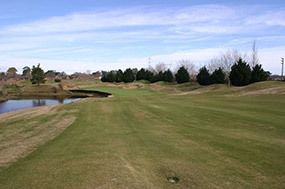 One example is a blind par five with its hidden green pressed up against a lake that is out of view from approaching golfers. There is also a crazy full plateau par three played across a moonscape of grass traps to an impossibly shallow green. The Green Nine is also poor, while the Yellow, without being brilliant, does have some inherent golfing quality. 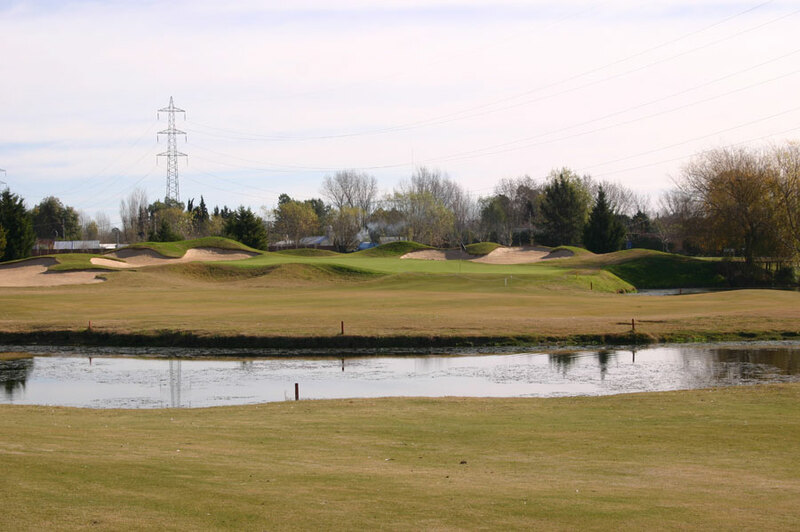 Sadly, however, the Buenos Aires Golf Club, despite promise, has barely a decent hole on its property, and a golf course that is ugly, artificial, repetitive and boring to play.